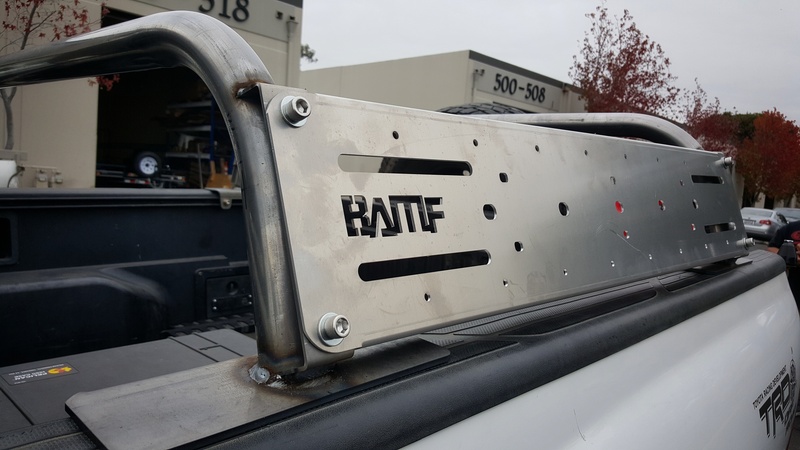 Introducing the BAMF Expo bed bars. 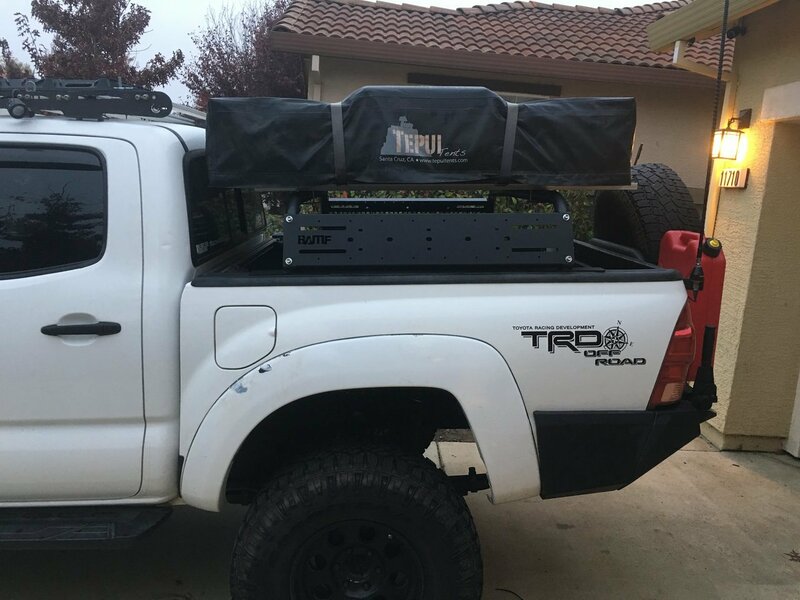 With the "Expo" style becoming so popular we decided to come out with the light weight rack system for the Tacoma platform. 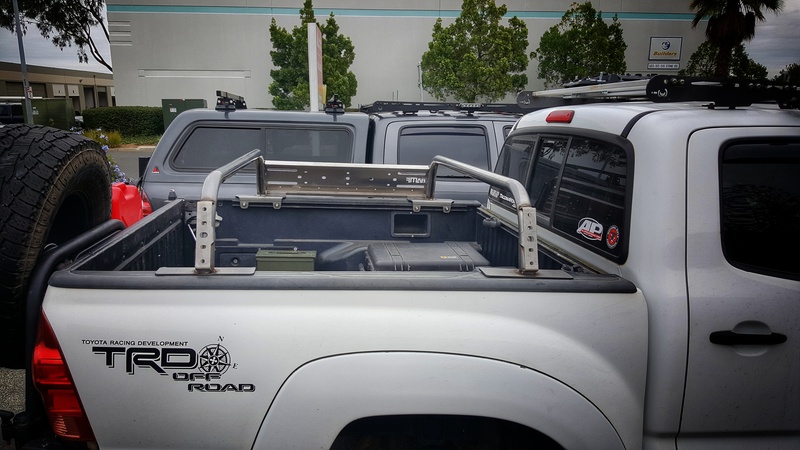 The basic bed bars are mounted with 8 T slot nuts and button head SS socket head cap screws (included) 3/16th steel mounting plates with a light weight 1.75"x 0.095" wall steel tubing to keep it light yet still be strong enough to hold all your gear. At 10" high off the bed rails your tent will stay down out of the wind as well as lowering your center of gravity. 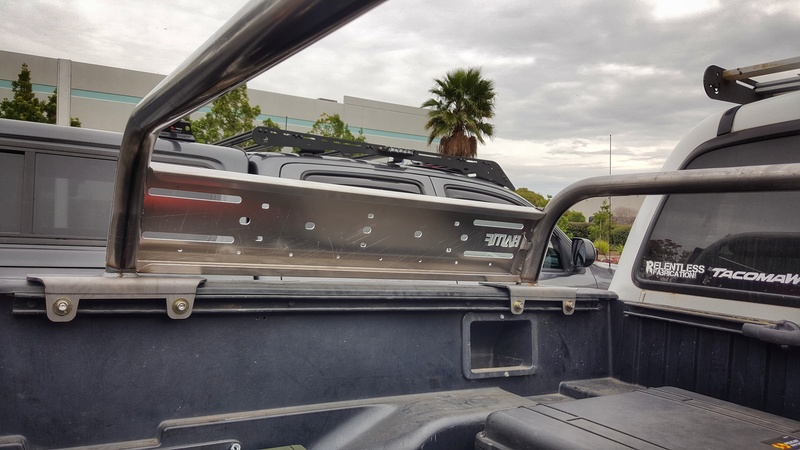 There are tabs welded on the sides (Standard) that you can mount a single rotopax 1 gallon can to all four corners or anything with a 1/2" mounting bolt like a Hi-lift. The optional laser cut .100" 5052 aluminium universal mounting plates open up more possibilities and are light weight, Formed with 2 flanges top and bottom for rigidity they are stout. There is mounting holes for Rotopax cans you could mount a hi-lift. 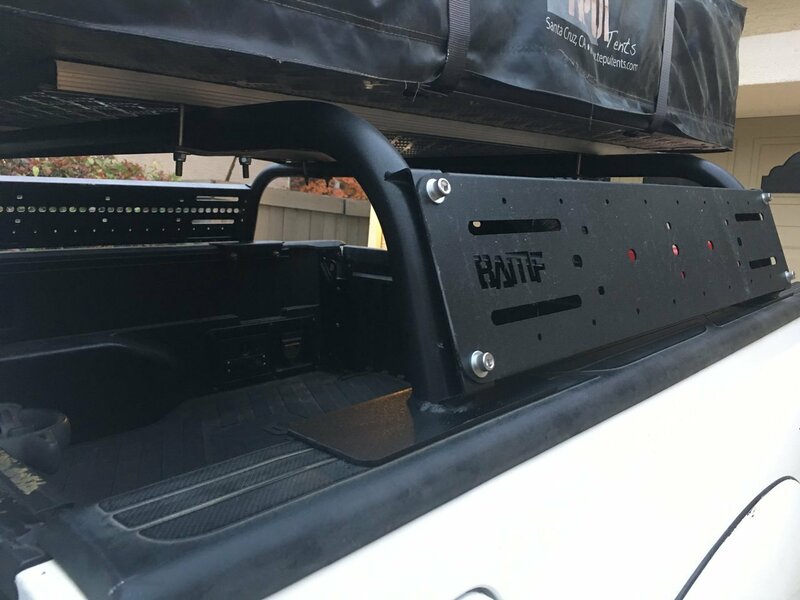 You can also add our raised Hi-lift mounts and mount a single 2 gallon Rotopax can under a Hi-lift. 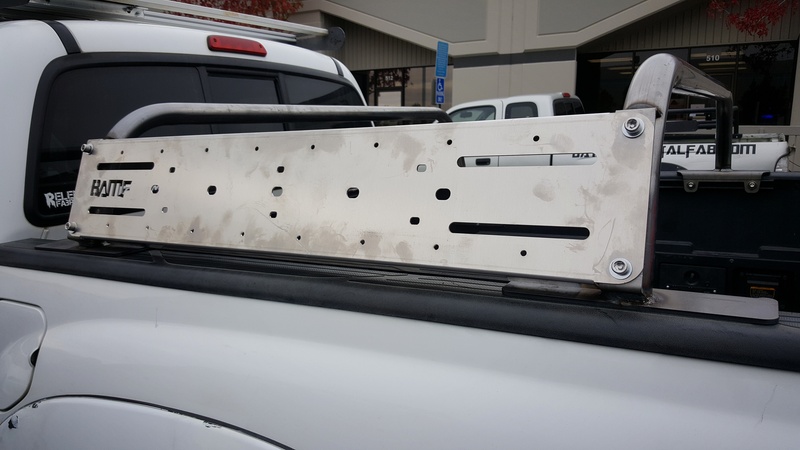 With 1/2" holes, long slots & 1/4" mounting holes the possibilities are endless. Hands down the best rack for the part-time adventurer. 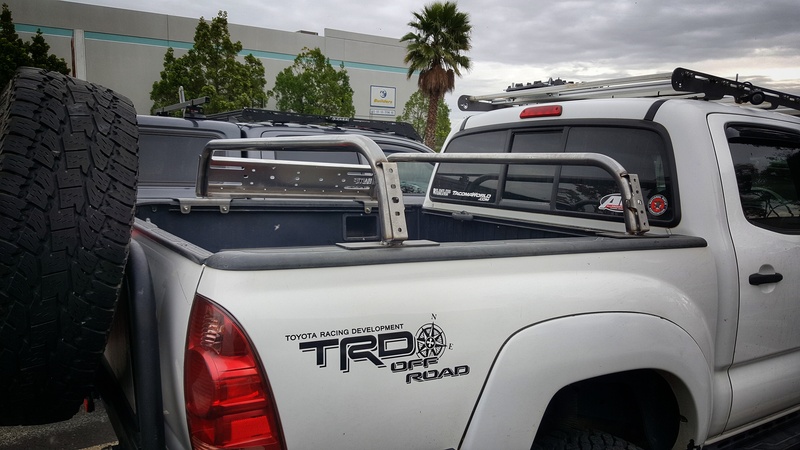 Rigid and stout when set up with side panels, giving the strength of a full bed rack, while having the option to take down and dismantle into a smaller footprint for easier storage. Side panels are carefully thought out for dozens of mounting options. Holes and spacing make it easy for rotopax, quickfists, tanks, etc. 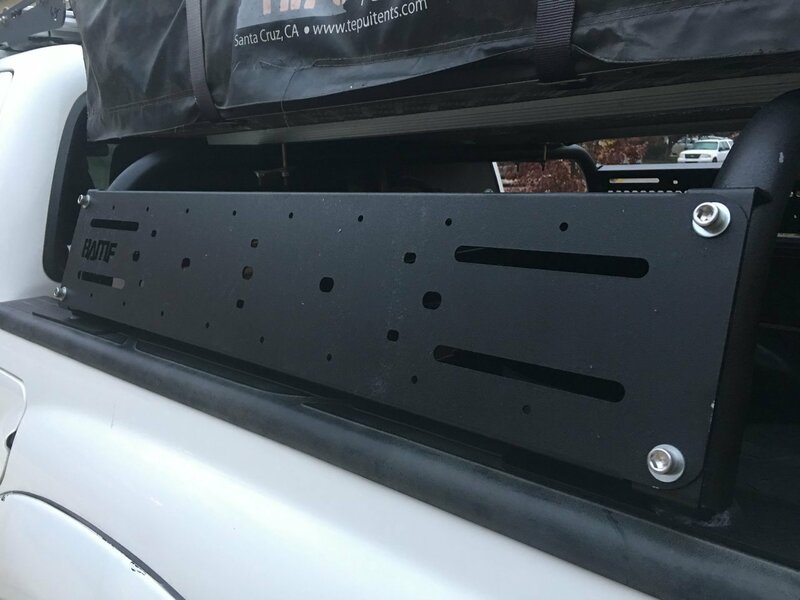 My truck is also my DD and this rack makes it super easy to break it down and utilize my bed for home duties/chores. I’ve gotten many compliments on this rack. Great craftsmanship and a great price point. BAMF does it again. Great work guys.